I got all my ingredients out at 12:58, had it all in the crockpot by 1:13 and had my kitchen tidied up again by 1:16. Except for the five minutes to shred the chicken hours later, that was IT! Talk about easy, you can even prep it the night before if you are rushed in the morning. You won’t believe me until you try it because it looks way too easy. I or 1 1/2 package of Taco Seasoning (I used original, but if you are spice averse, consider using mild). I like to add a bit more spice near the end if needed for taste so I always have an extra packet on hand just in case! Place all of the ingredients in a large crockpot. If you plan to serve in 5-6 hours, use the high setting and if you plan to leave it on all day, use the low. 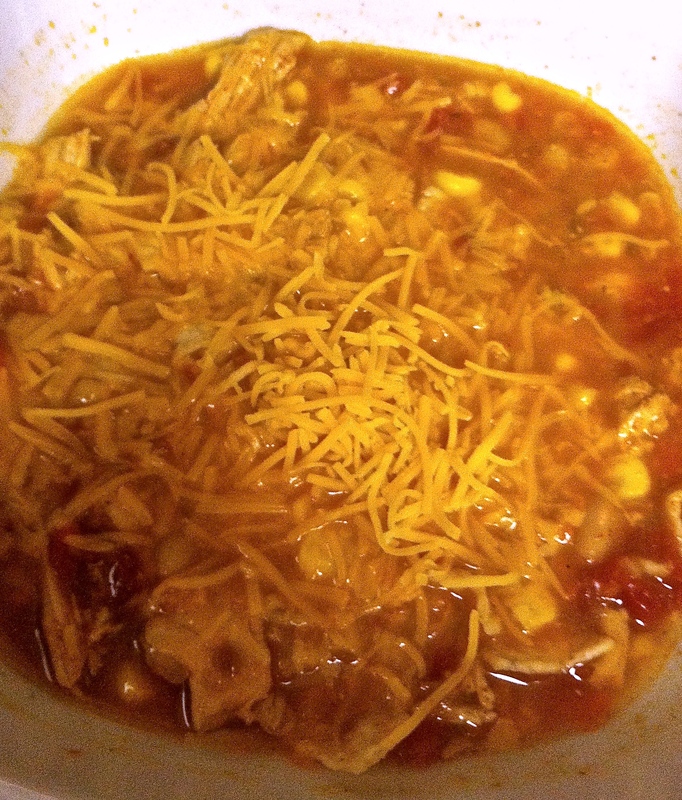 About 1 hour before serving (if possible), take the chicken out, shred it, and then place it back in the soup. 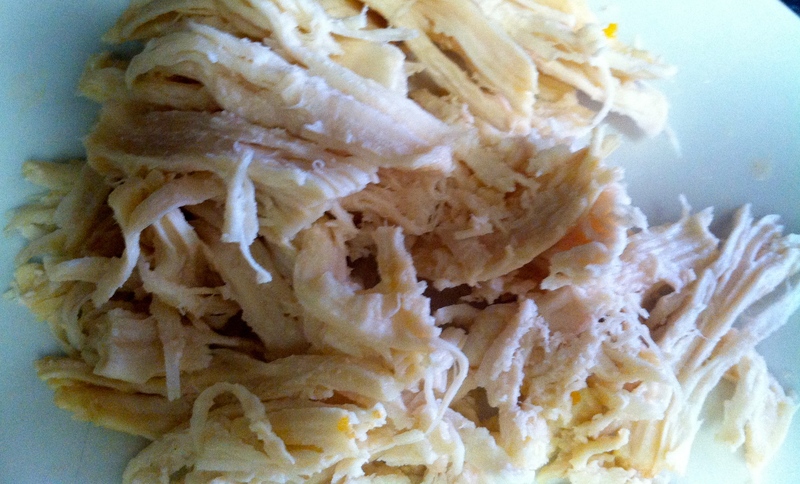 If you do not have the full hour, it is ok, it’s just to let the flavors “mix” a bit with the freshly shredded chicken. Serve topped with shredded Cheddar and/or a side of tortilla chips. If you have fresh cilantro to garnish, go for it! This makes one full crockpot of soup! It should easily serve 10 people a full meal, more if served with other munchies. It will also freeze well or be awesome for lunch the next day. If you would prefer a meat free soup, add an additional can or white beans and rotel and an extra 1/4 cup each of carrots, celery and corn. I like to use all organic ingredients when possible, but it is not required for the recipe.